Today we’re keeping things simple . . . simple, yet iconic and beautiful, and so very Miami. Miami Geo Quiz #35: Where in this marvelous city of ours do we find this stacked beacon of light, meant to mimic that of the real thing? 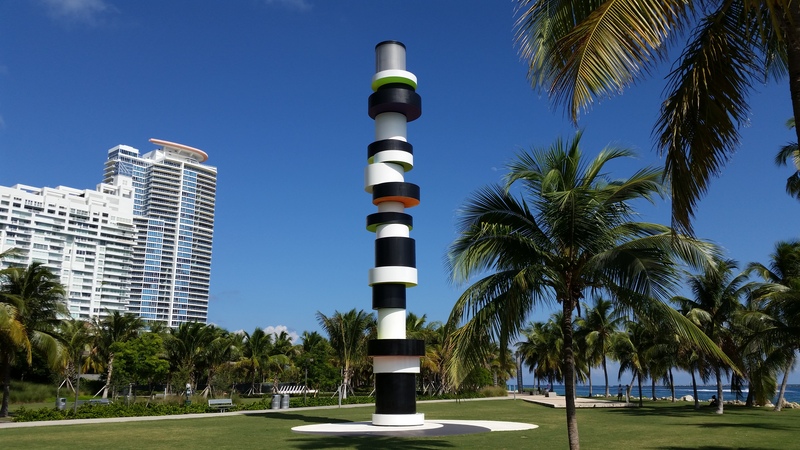 Miami Geo Quiz #35: Stacked Beacon — A. Source: Matthew Toro. August 23, 2015. 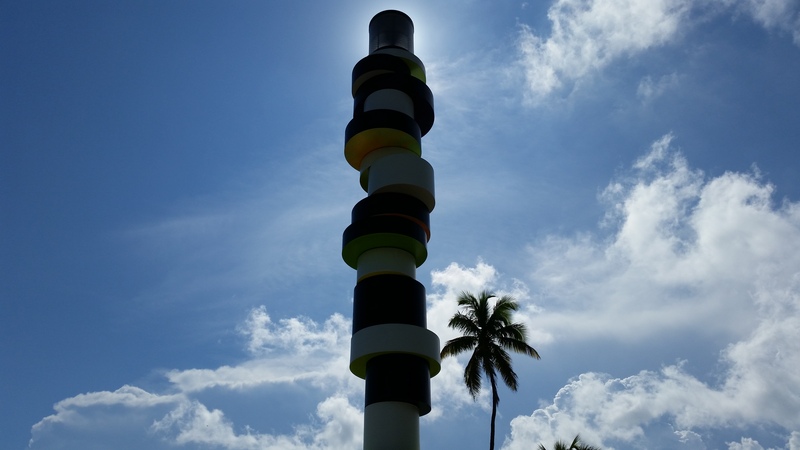 Miami Geo Quiz #35: Stacked Beacon — B. Source: Matthew Toro. August 23, 2015. You got it, Howard! (And you too, Chris!). The next one will be far more challenging! Miami Geo Quiz #36 is on its way! Finally I know one, but get beaten to the punch. The area surrounding this was fenced off until recently. It seemed related to the site, and not the sculpture.